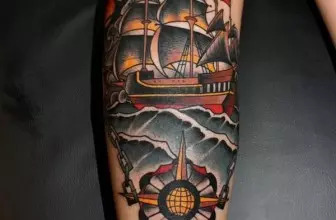 Loyalty tattoo designs are the most appropriate and favorable tattoo designs for something we love most. It can be a family like wife, children, country, favorite football club, homeland, groups or favorite bands that inspire loyalty to your lives. Adherence to, obedience and faithfulness are the meaning of loyalty. Loyalty tattoos symbols are perfectly designed and they also describe a story without using words. These tattoos are designed by using symbols. However, all tattoo lovers do not have the courage to use these tattoo symbols on their body. People need strong determination to describe or display something to the world through tattoo designs. If you have strong determination to ink your body, loyalty ideas are the best because they can provide you unlimited ideas. 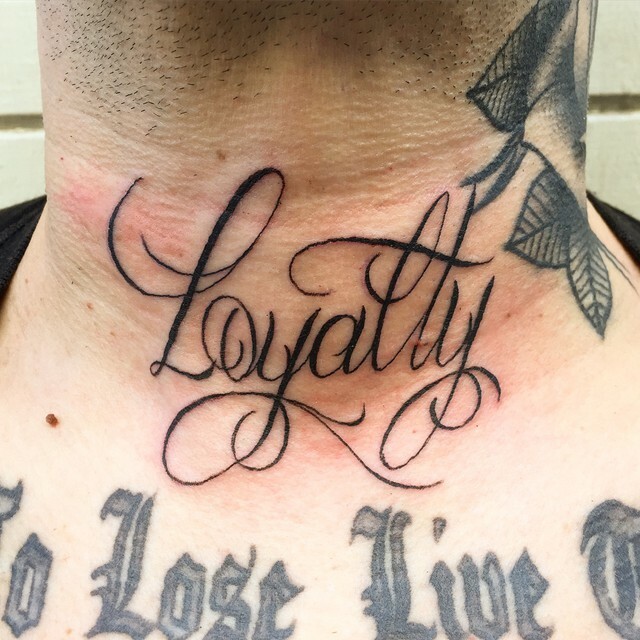 Loyalty design is one of the preliminary tattoo designs of people. These are the favorite designs of lots of people and they use these symbols for the past many years. 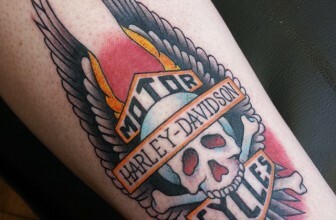 Loyalty tattoo designs are associated with courage, honor, strength and loyalty. This tattoo is considered as the amazing tattoo ideas of power of quality. People design their body with these tattoos because they believe that these designs have an insight to see things, which are not visible to naked eyes. The character of tattoo enthusiasts who select these types of designs is also unique. They are free spirited and are proud of themselves. Loyalty tattoo is a free spirit design. The size of the tattoo is determined by the body part you want to place this tattoo design. You can make an extensive design with the this tattoo. The most popular areas of these types of tattoos are the back, shoulders and arms. You can also ink this design on other parts of your body including fingers, chest, leg, etc. It depends on the available size of tattoo design. If you want to use a smaller size tattoo, you can place it on your finger or arm. But, if you select smaller ones, you cannot make details of the tattoo clearly. Color is the other important element of a loyalty design. You should select the color theme very carefully. 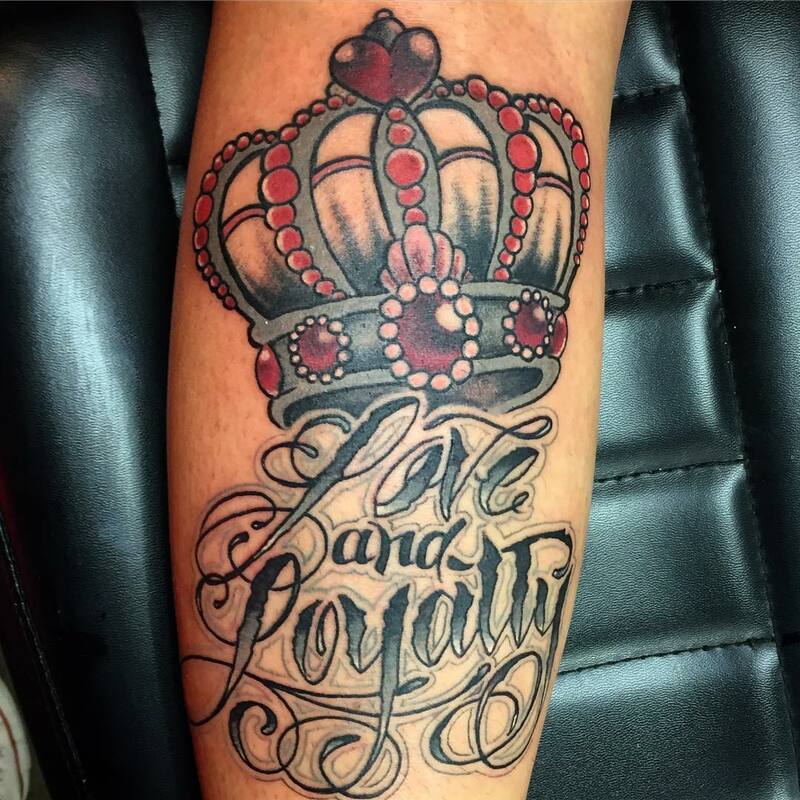 In order to enhance the beauty of loyalty tattoos design, you can combine the design with different letters or words. You can express your loyalty towards your family through tattoo designs. These tattoo is an ideal way to express your closeness, commitment and obligation to your life wife/husband, children, parents, grand children, etc. Different types of symbols can also be used. This is another wonderful design and it can be selected by any person. Love loyalty symbol together with a heart is selected to display loyalty to the loved ones. Some people like to include the names or some other symbols along with the love loyalty design. Some tattoo enthusiasts want to add a personal touch to their symbol. This is the best way to express your strong emotions and intensity. This is also a popular design and it is the great way to express your respect and feelings to your loved ones. These designs are mostly selected by couples who want to show their love for each other. But, this symbol can also be used by friends, family and those who nurture warm relationships. These tattoo symbols can be used by everyone who want to care their partner. Love is a powerful and great weapon and it contains human emotions. Some people believe that love cannot be transferred through tattoos. But, some others consider that tattoo is the best suitable medium to display love. Swallow tattoo is the other popular tattoo symbol. Swallow is a bird that selects a partner for its entire life. The designs of signs of loyalty are very diverse in the form of pictures, quotes and writings. The popular meaning of swallow tattoo is travel. Some swallow species travel from Europe to Africa. To avoid cold of winter, they cross most of the planet. It is believed that swallows carry spring along with them. Spring is associated with new life or new beginning. So, swallow is the symbol of return of joy, newness and easy times. Loyalty swallow tattoo can also be a symbol of patriotism or home. This is the way of a person to honor their country of birth, city or family. Each year, swallow returns to home, so this bird can be an ideal symbol of loyalty and love. This design is created as a symbol of friendship, which has grown as close as brothers. Your bond with your friend becomes very strong when you meet friends and addictive with one another. When your friend is not with your side, you feel there is something missing. You can design this bond in the form of tattoos. Manchester United is the famous and top football club in the world. Millions of people around the world support this football team. Man UTD Loyalty tattoo designs are dedicated to express the loyalty to this football club. These are popular designs for those who love tattoos and football alike. The tribal communities started decorating their body for more than 5,000 years. They used wooden metals, reeds, etc to make tattoo symbols on their body. In order to make permanent marks on their body, they applied think, black mark. Tribal tattoo designs are the inspiration for many people today. This is a preferred choice for many who want to express loyalty to the tribal groups and community. Loyalty arm tattoo can be designed in a variety of forms and length. You can design a full arm tattoo, which starts from the scapula and lead to the wrist. If you are planning to get arm tattoo with loyalty design, you can check with the myriad designs. Meaning of loyalty tattoo is assertion, determination and cheerfulness. This is an addiction to something you care and love most. However, you must think that tattoos are for life-long. Once inked, it cannot be removed. So, you should select a design very carefully. Do a thorough research for getting the best design.